A new collection of unseen photographs of New York City's 1970s punk heyday, by one of the icons of the city's golden age of new wave, Blondie's Chris Stein. A new collection of unseen photographs of New York City's 1970s punk heyday, by one of the icons of the city's golden age of music, Blondie's Chris Stein. 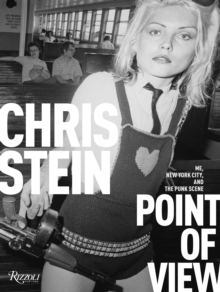 For the duration of the 1970s - from his days as a student at the School of Visual Arts through the foundation of the era-defining band Blondie and his subsequent reign as epicenter of punk's golden age - Chris Stein kept an unrivaled photographic record of the downtown New York City scene. Following in the footsteps of the successful book Negative, this spectacular new book presents a more personal and more visceral collection of Stein's photographs of the era. The images presented here take readers from self-portraits in his run-down East-Village apartment to candid photographs of pop-cultural icons of the time and evocative shots of New York City streetscapes in all their most longed-for romance and dereliction. An eclectic cast of cultural characters - from William Burroughs to Debbie Harry, Andy Warhol to Iggy Pop - appear here exactly as they were in the day, juxtaposed with children playing hopscotch on torn-down blocks, riding the graffiti-ridden subway, or cruising the burgeoning clubs of the Bowery. 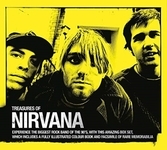 At once a chronicle of one music icon's life among his punk and New-Wave heroes and peers, and a love letter to the city that was the backdrop and inspiration for those scenes, Point of View transports us to another place and time.